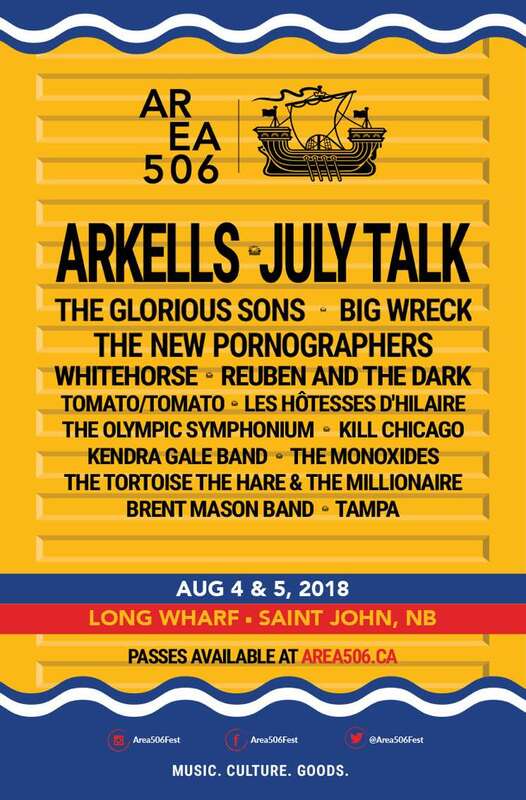 Area 506 will return to Saint John, NB, this summer, and the full list of performers has just been revealed. The 2018 lineup features Arkells, July Talk, the New Pornographers, the Glorious Sons, Big Wreck, Whitehorse, Reuben and the Dark, Tomato/Tomato, Les Hôtesses d'Hilaire, the Olympic Symphonium, Kill Chicago, Kendra Gale Band, the Monoxides, the Tortoise the Hare & the Millionaire, Brent Mason Band, and Tampa. The festival will run across two days, taking place August 4 and 5 at Long Wharf in Saint John. For tickets and full festival information, head over to the official Area 506 website.